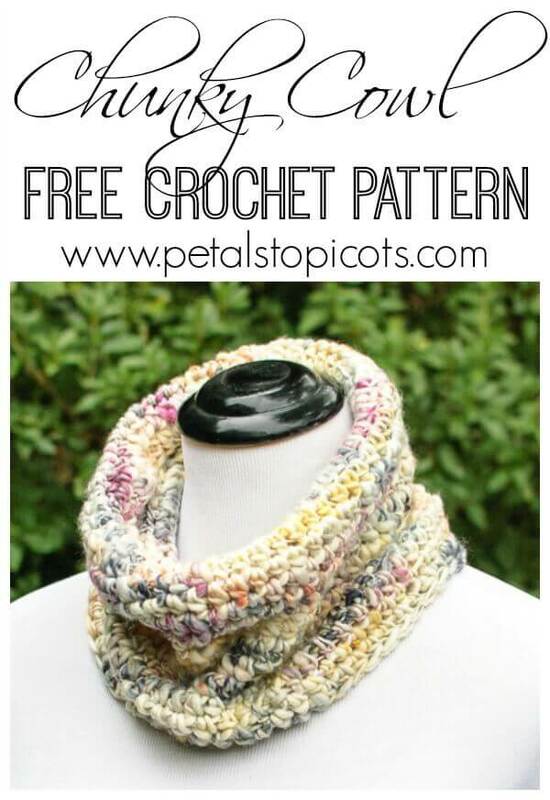 Home > Crochet > Free Crochet Patterns > Chunky Crochet Cowl Pattern … Perfect for Beginners! Chunky Crochet Cowl Pattern … Perfect for Beginners! You can never have too many cowls … I love layering them over a long-sleeved tee for a cozy yet pulled together look for Fall. And of course I couldn’t bear the winter days here without one! 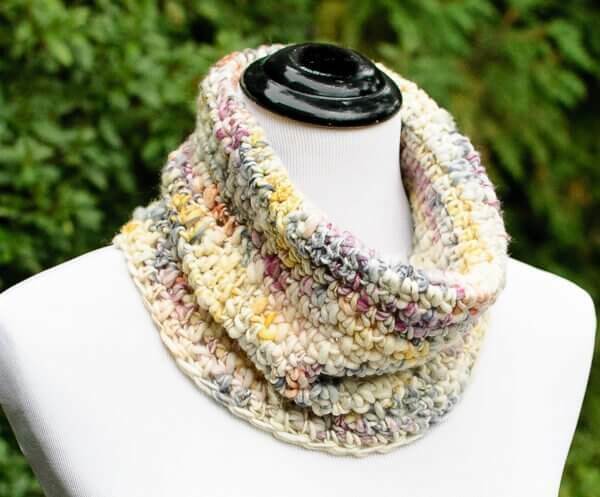 Best of all, this Chunky Crochet Cowl pattern is perfect for all crochet levels … the yarn is showstopper … no fancy stitches needed! I hope it’s a pattern you will come back to time and time again. When I got the chance to try out Manos del Uruguay’s new Serpentina yarn I immediately knew it would make an awesome (and easy!) cowl. The yarn is 100% merino and is hand dyed and spun. I love the beauty of all the Manos del Uruguary yarns (see my projects Any Season Asymmetrical Shawlette and Solomon’s Knot Whisper Wrap) but what I love most is what the company stands for. All of their yarn and fiber is certified Fair Trade and is produced by cooperatives located throughout Uruguay. So each skein of yarn purchased helps a woman in Uruguay to support her family! You can even see on the tag of each skein the name of the artisan and which village it came from. Finished cowl measures approximately 10 in. tall and 23 in. circumference. Note: If you prefer you can instead start this project by working a 52 foundation half double crochet stitches, join to form a ring, then continue with Round 3 of the pattern. Ch 52 and Sl st in furthest ch from hook to form a ring, taking care not to twist the chain sts. Round 1: Ch 2 (counts as hdc here and throughout), work 1 hdc in each ch around, join — 52 sts. Rounds 2 through 18: Ch 2, work 1 hdc in each st around, join — 52 sts. I love this cowl! I’m not a beginner but I would love to make this. Directions easy to follow and memorize. Great idea for a gift! Thank you for sharing.